We’re happy to announce that LiveChat Docs have just received a refreshed layout and engine. They are now powered by Hugo and Netlify for lightfast performance and deployment. We kept the tiles from the old layout, but we grouped them for easier navigation. 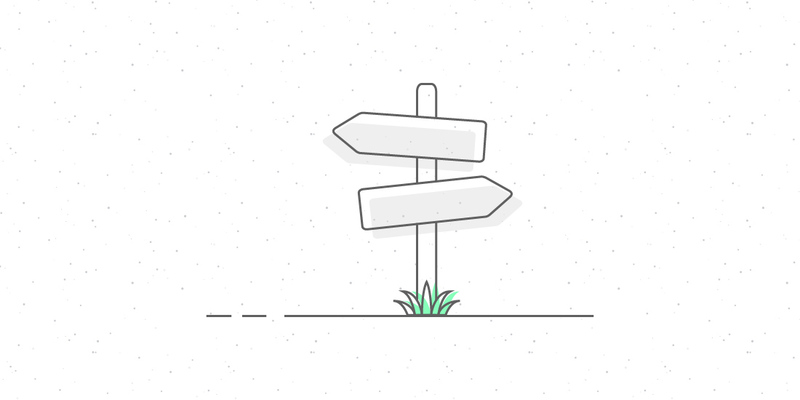 There are sample use cases displayed next to each group so you can decide which tool is best for your project. Moreover, if you click the name of a group, your browser address bar will display an anchor link to this particular group for easy sharing. 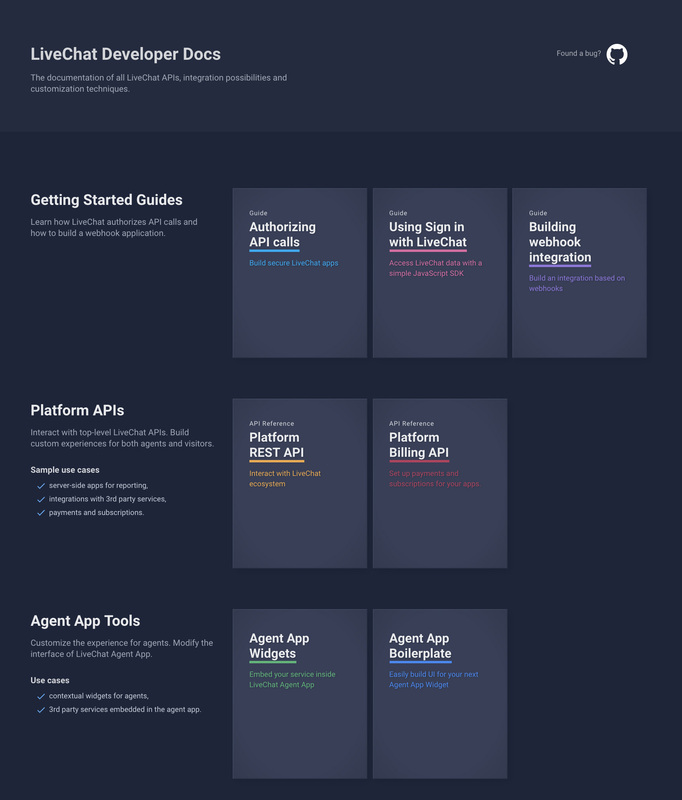 The new LiveChat Docs website is more than just a documentation catalog. We want it to encourage the visitors (yes, that means you!) 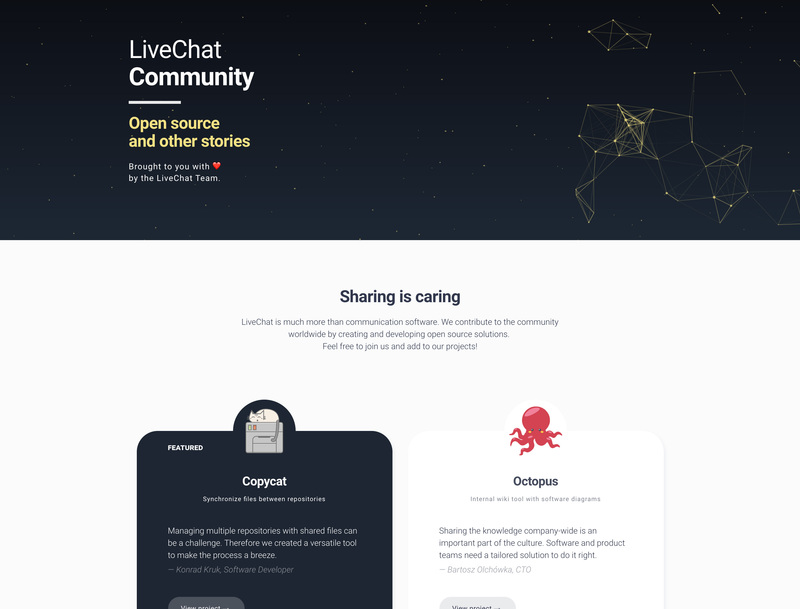 to follow what happens on LiveChat for Developers, LiveChat Developers Blog and in the LiveChat Community, and to contribute to these projects. The best things happen in cooperation. If you spot an error in the documentation or want to add to it, click “Found a bug?” button at the top of the page. Feel free to request changes or code samples!